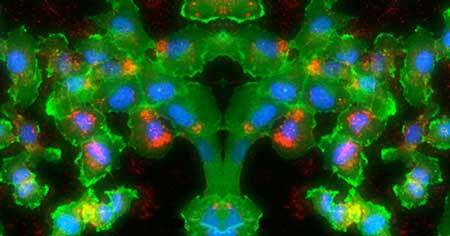 (Nanowerk News) Cancer treatments—from radiation to surgery to chemotherapy—are designed to remove or kill cancerous cells, but healthy cells often become collateral damage in the process. What if you could use lasers to pinpoint the treatment area and deliver medicine to cancer cells only? A research team at the University of Delaware, led by Emily Day, an assistant professor of biomedical engineering, is laying the groundwork for a method to inhibit cancer-promoting genes in cancer cells while leaving healthy cells intact. In a new paper published in Nano Letters ("Evaluating the Mechanisms of Light-Triggered siRNA Release from Nanoshells for Temporal Control Over Gene Regulation"), the team reveals unprecedented insights into this promising method, which involves coating nanoparticles with gene-regulatory agents and then exposing them to a dose of laser light to unleash that material.